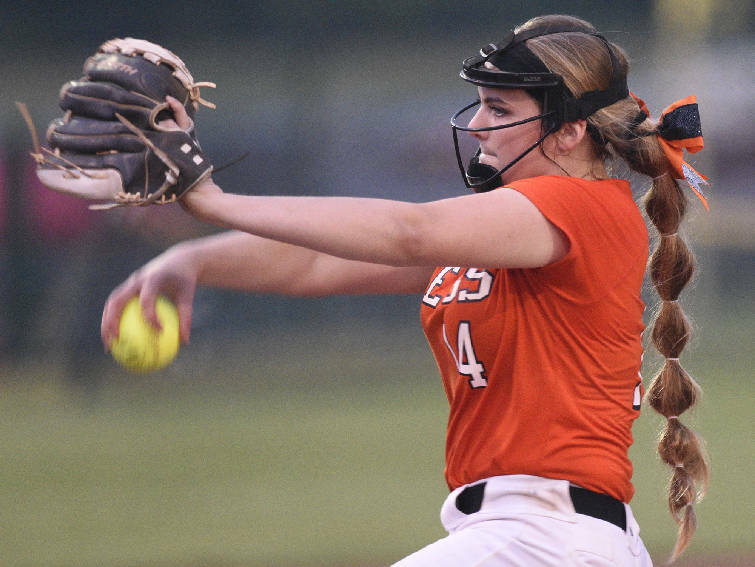 Former Silverdale Baptist Academy softball player Kaili Phillips, pictured, joins Meigs County's Ashley Rogers as Chattanooga-area athletes on the Tennessee softball team this season. Former Meigs County High School pitcher Ashley Rogers is expected to be the No. 3 option on Tennessee's staff this season. The Lady Vols, ranked No. 8 in the country, open today with a pair of games at the Kickin' Chicken Classic in Myrtle Beach, S.C.
KNOXVILLE — Kaili Phillips joined the Tennessee softball team with the primary title of utility player, a role she was filling at third base and right field early in the season. But when an injury took freshman catcher Ally Shipman out of the lineup, co-head coach Ralph Weekly went to Phillips and asked if she was ready to move behind the plate. "She said yes, and she's done a great job," Weekly said Sunday. Phillips still has moved around a lot, but she caught in two of the eighth-ranked Lady Volunteers' three games during their Southeastern Conference sweep of Mississippi State over the weekend. 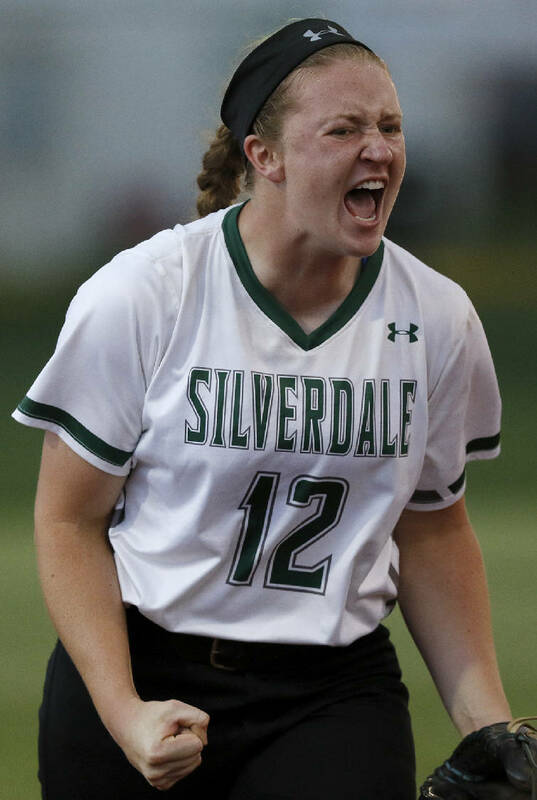 The former Silverdale Baptist Academy standout — one of two Chattanooga-area players for the Lady Vols — is hitting .281, the highest batting average of any freshman on the team. Despite having played multiple positions, she's yet to commit an error. "She's a good story," Weekly said. "She's a Tennessee kid, and we always knew she could catch — she was highly recruited as a catcher — but we had Shipman in here. When Shipman got hurt, it threw us for a loop, but Kaili handles the pitchers just like a catcher should. Once you put on those 'tools of ignorance' (catcher equipment), it gives you the authority to go out and get on them." The other area freshman, pitcher Ashley Rogers from Meigs County, is a team-best 15-2 with a 1.65 earned run average. She's fourth in the SEC in strikeouts with 132 and batters are hitting .176 against her, which is third-best for any pitcher in the league with at least 10 starts. Tennessee is 32-8 overall and 10-5 in the SEC heading into Tuesday's nonconference game at East Tennessee State and a trip to Georgia this weekend. If the baseball Vols were hoping they could continue to sneak up on opponents, they can forget it. The 25th-ranked Vols won their weekend series against then-second-ranked Georgia at Lindsey Nelson Stadium, taking Friday and Saturday victories before falling 7-1 in the finale. Tennessee gave up nine hits in Friday's 2-0 win, but only two of those came after the fifth inning as relievers Andrew Schultz and Redmond Walsh each allowed a hit. On Saturday, Garrett Stallings threw a complete-game five-hitter in the 3-0 victory for the Vols (26-11, 6-9 SEC). "Now you know you can beat any team in the country," Tennessee coach Tony Vitello said. "I don't look at those rankings, so I don't know who's No. 1, but No. 2 is what is most often spoke of for Georgia. To me, I'm prejudiced: If they're No. 2 and there's not a SEC (team) at No. 1, then they're No. 1. If we can beat them, then we can beat anybody. "But in this sport — unlike maybe football and basketball — anybody can beat us as well. If anything, it keeps you on your toes knowing that, but it also motivates in that locker room that we don't really have a ceiling on this team unless we put it on ourselves. Anything's possible and they're fully capable of doing damage anywhere in the country to any team with what we've got in that locker room." The Vols, who hope to advance to the SEC tournament for the first time since 2016, host Morehead State Tuesday and visit Kentucky this weekend for a three-game series.